Mark Huizenga is a highly motivated, results-driven professional with over 15 years of proven management consulting experience. He has consistently been a high performer, holding senior management roles with Spectrum Health, ProCare Systems, and other health care organizations. From Los Angeles to New York, Mark has helped hospitals and physicians across the country. Mark Huizenga has a Bachelor of Arts Degree in Business Administration from Calvin College and a Masters Degree in Management from Aquinas College. 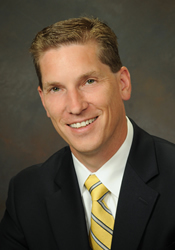 Mark is a Board Certified Medical Practice Executive with the American College of Medical Practice Executives (ACMPE). Mark resides in Grand Rapids, Michigan with his wife and three children. Kenneth M. Hekman of the Hekman Group has collaborated with Systems Consulting in various capacities for over 15 years. 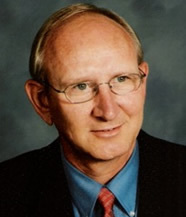 He has served over 400 medical practices across North America with strategic planning, advisory services, fair-market-value appraisals and business wisdom for medical practices since 1986. Ken has served as a multi-specialty group practice executive, and has written and edited five books and numerous articles on medical management topics. He received an MBA in B usiness Strategy and Marketing, and he has earned the unique standing as a Fellow in the American College of Medical Practice Executives. Ken also serves as a voluntary special advisor to mission organizations involved in healthcare services development in Eastern Europe, Central America and Central Asia. Ken and Mark are pleased to serve others in emerging markets through Health Development International. Patrick Creager of Guidance Healthcare Consulting has more than 25 years of management experience in the health care industry, and provides solutions for short term and long-term management projects throughout the country. 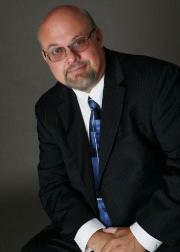 He is a Board Certified Medical Practice Executive and a member of the Society for Human Resources Management. Patrick's ability to deliver successful projects on time and within budget differentiates himself in the marketplace. Patrick has extensive experience with "turn around" projects, as well as consulting engagements. Find out how you can improve your organization with Patricks expertise! Jerry provides consulting services, as well as interim management solutions throughout the United States. Jerry has a Bachelors Arts Degree from Rutgers University as well as a Masters of Public Administration and a Masters specializing in Community Organization and Planning from the University of South Carolina. Jerry is a Board Certified Medical Practice Executive ACMPE with the American College of Medical Practice Executives and has held leadership positions in the MGMA.